Disclaimer: The opinions described in this article belong to the researchers and editors of The Forrester Wave: Security Analytics Platforms, Q3 2018. 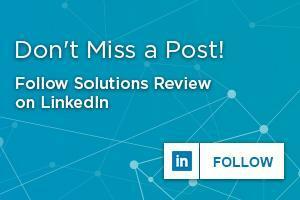 Solutions Review does not expressly condone any individual solution or solution provider. 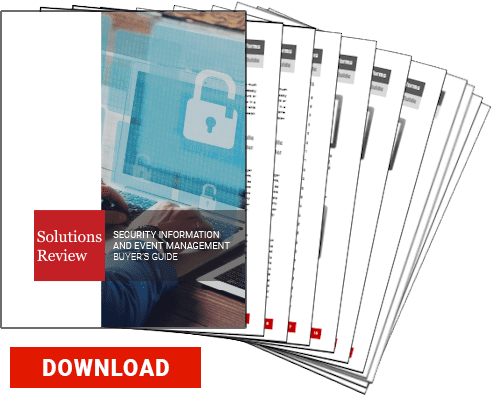 In their 30-criteria evaluation of Security Analytics solution providers, researchers Joseph Blankenship, Stephanie Balaouras, Madeline Cyr, and Peggy Dostie identify what they consider the 13 most significant vendors in the field. 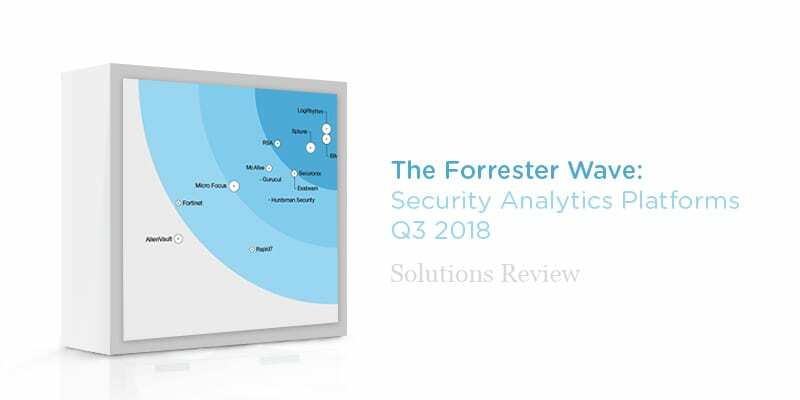 The 13 solution providers listed in The Forrester Wave: Security Analytics Platforms, Q3 2018 are AlienVault, Exabeam, Fortinet, Gurucul, Huntsman Security, IBM, LogRhythm, McAfee, Micro Focus, Rapid7, RSA, Securonix, and Splunk. The Forrester Wave: Security Analytics Platforms, Q3 2018 report names four solution providers as Leaders: LogRhythm, IBM, Splunk, and RSA. Meanwhile, Securonix, Exabeam, McAfee, Gurucul, Huntsman Security, and Micro Focus are all named Strong Performers. Only Fortinet and Rapid7 are labeled as Contenders and AlienVault as the sole Challenger. Forrester labels LogRhythm a feature-rich platform. IBM receives praise for its ambitions and automation. Splunk’s high customizability is lauded within the report. RSA provides noteworthy threat detection and visibility. According to The Forrester Wave: Security Analytics Platforms, Q3 2018, the market is differentiated by its need for customization, integration, and data security. These features are vital to replacing legacy security information management tools. A constant refrain here at Solutions Review is that threat detection rather than threat prevention is the centerpiece of a conscious enterprise’s cybersecurity platform. While it might seem a platitude, Forrester’s researchers appear to confirm this. You can read the full The Forrester Wave: Security Analytics Platforms, Q3 2018 report here. Previous Previous post: Celebrate IT Professionals Day! Show Your Appreciation!